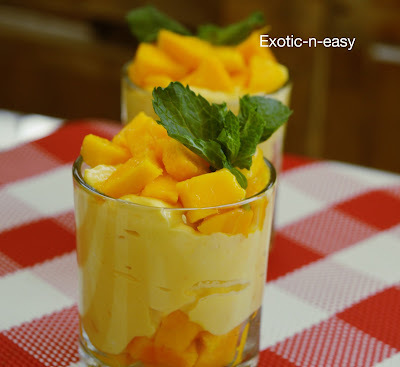 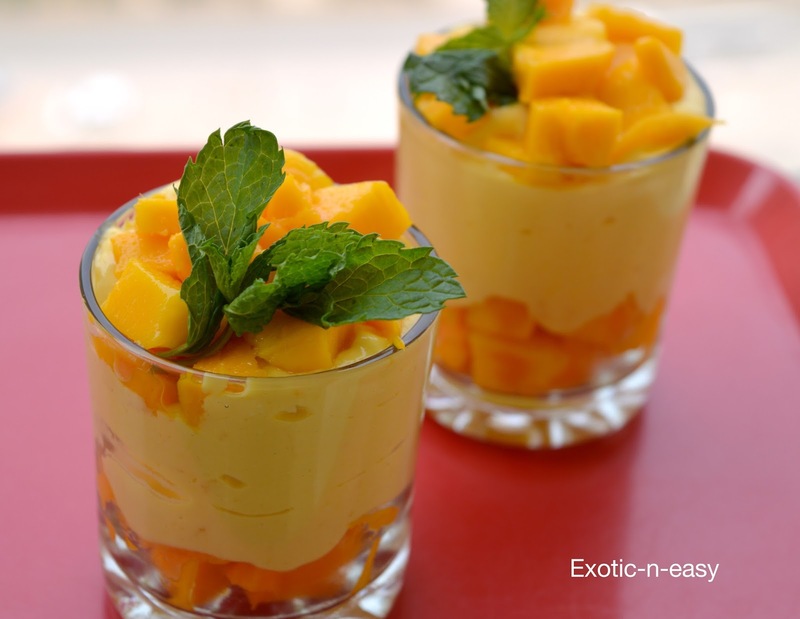 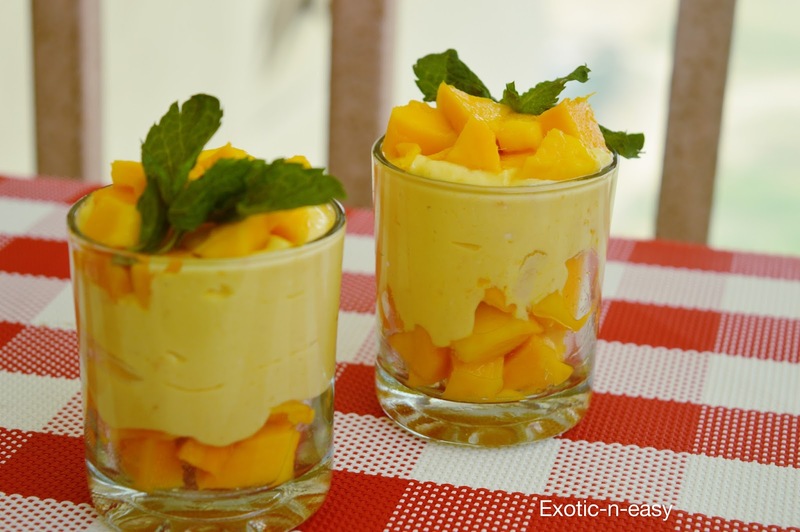 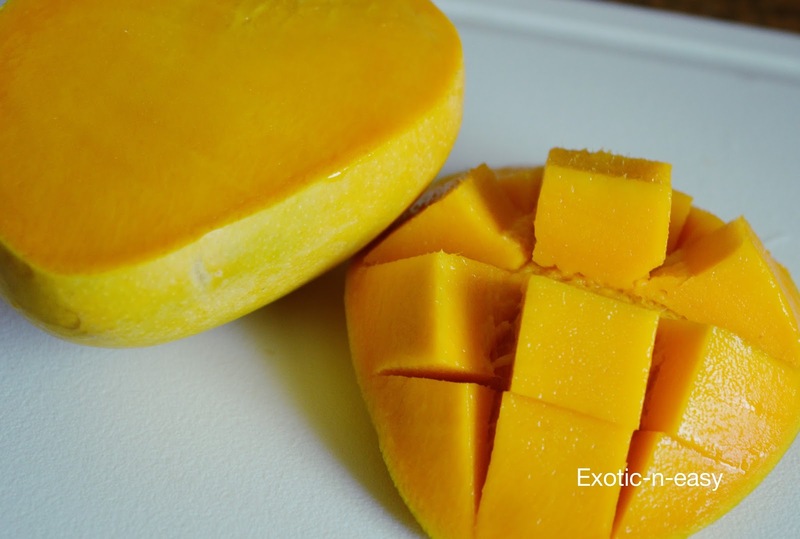 Here comes another summer treat with mouth watering mangoes - king of all fruits. 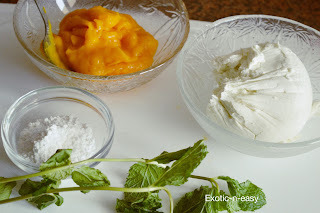 This time I am not asking you to add calories with mango shakes, it is a pure healthy stuff with least calories having ingredients like yogurt. 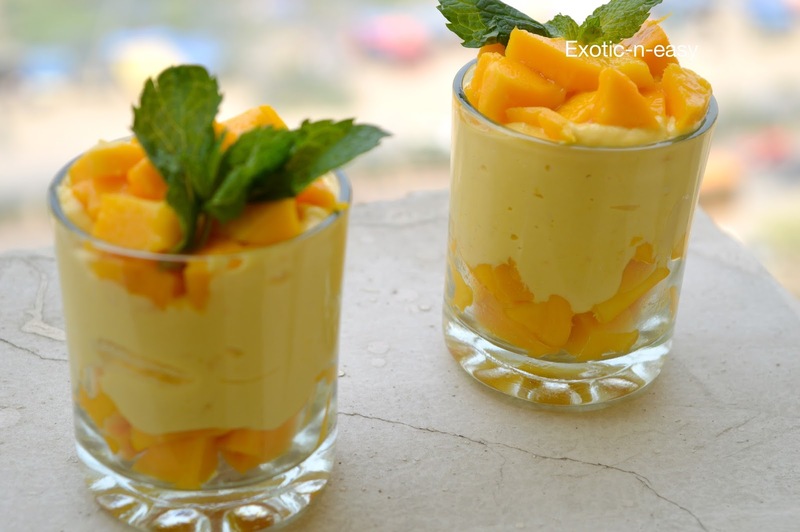 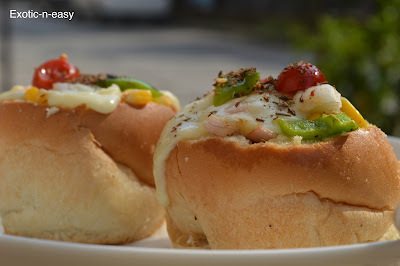 Kids don't want to spend enough energy in eating fruits directly so here is a viable option for them to enjoy two nutrients rich ingredients with a great taste and ideal for beating heat of summers. Take curd in muslin cloth and hung it in cool and dry place for 2 hours so that the extra water gets removed.